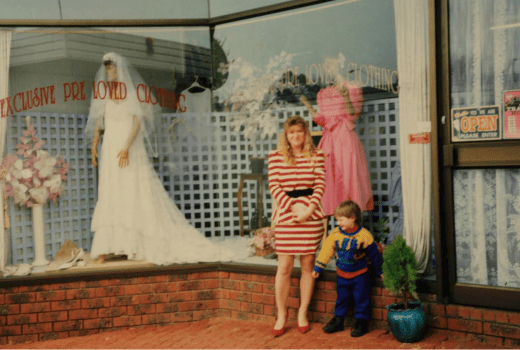 This week on Million Dollar Cold Case, Seven looks at the 1995 murder of schoolboy Ricky Balcombe and 1993 murder of shop manager Renita Brunton. On May 5 1995, 16-year-old schoolboy Ricky Balcombe was stabbed to death in a busy local shopping centre. His mum had dropped him in town to meet friends – It was the last time she would see her son alive. As Ricky and a friend walked down a corridor of the shopping centre they were confronted by a male. Ricky was then stabbed. Homicide detectives described the attack as brazen. Despite a local cone of silence around the attack, police soon found a motive and prime suspect. The suspect was eventually charged, but the charges were dropped just days before the trial was due to begin. The Homicide Cold Case team is determined to help ease Ricky’s family’s pain and catch his killer. On November 5 1993, mother of one Renita Brunton was fatally stabbed in a frenzied attack in the back room of her second hand clothing store. Police believe Renita knew her killer. Renita had a passion for helping others with their problems and police investigated whether this had put her in danger. In an investigation that had many twists and turns – new evidence came to light 18 months after the murder. In the late 1990s Renita’s murder was connected with the name of one of Australia’s most evil men – serial killer Peter Dupas. Was he responsible for this innocent woman’s murder? The Ricky Balcombe and Renita Brunton murders need the public’s help – which is why police are offering one-million-dollar rewards in each of these cases for information that leads to a conviction. Anyone with information about any of the cases featured throughout this series should contact Crime Stoppers on 1800 333 000 or make contact through their website. Wednesday 22 March at 9pm on Seven.